Magazines live a hard life. They're dropped on the ground, in sand, in puddles, in the mud. They're stepped on and kicked. They're carried in pockets where they collect lint. And most shooters never clean them. Under these circumstances even the best magazines will eventually fail, and even if you do care for them, normal wear and tear can lead to structural problems that will turn your semiautomatic into a slow one-shooter. Extending the life of your magazine starts with maintenance. For those who do not have a skilled shooter to show you how, there are plenty of reference materials—owners manuals, books, videos—you can use as a guide. Just remember to always wear safety glasses when working on springs or parts that can take off at high speed. Between or during cleanings there are easy things you can do to keep your mags in good working order. Inspect your magazines in good light and with a magnifying glass or a pair of reading glasses in the 2.0 range. Also, you want to mark all your magazines so you can quickly identify a problem one and take it out of service—and keep it there. Here are seven things to be looking for or at. 1. Cracked feed lips Hold the magazine under a bright light and inspect the outside body to ensure the feed lips are not cracked or bent. Check the rear corners at the 90-degree junction, as this is the weak point. Under pressure of the loaded rounds, the cracked feed lip expands sideways, often causing the mag to bind in the mag well. Failure to drop free by simply pressing the magazine release puts you on notice of a problem. 2. Dented or cracked mag body A side dent can prevent loading all rounds into the magazine or it releasing free of the handgun. Look for any dents in the magazine body that can be caused by being dropped or stepped on. While polymer magazines have proven to be resistant to impact damage, they must be checked, as splits have happened at the rear corners and seams with both metal and polymer magazines. Floorplates can be damaged from being dropped and even from being over-inserted. These are easily replaced. Cracked feed lips, on the other hand, mean it's time for the magazine to go. 3. Weak magazine spring Weak springs can cause a failure to feed, so it is important to monitor spring condition. Do so by checking spring length and how it feels as you load the magazine. As you load the first two or three rounds, does the spring feel "soft," like it has lost power? It helps to have an example of a new magazine and spring to use for comparison. It's a topic of some discussion, but I have seen springs take a "set" from remaining fully loaded for a long time. I saw this in a training class when a pistol was fired with a mag that had been fully loaded as a backup magazine for years. The gun repeatedly failed to feed, and the top round stove-piped. If you experience this phenomenon, do not stretch the spring back to original length and expect it to work properly. Change it out. Brownells carries many types of the highest quality mag springs at low cost, so it is easy to keep extras on hand. 4. Loose, cracked or broken floorplates Both metal and plastic base plates can crack or break when dropped on hard surfaces, and a 1911 magazine can be loaded into the mag well with such force that it breaks off the front of the floorplate—resulting in the magazine being driven past the mag catch and creating a malfunction that requires tools to remedy. On the street, this failure will be unfixable, which is why I use a metal floorplate or an extended-length polymer one on my carry 1911s. Further, if the floorplate is not locked in place, it can slide forward when dropped or when the pistol recoils in the shooter's hand, and that is a serious problem. Simply check your floorplates and replace if necessary. 5. Slide will not lock back When the last round is fired, the magazine spring presses the follower upward against the slide-stop projection to lock the slide to the rear. There must be full spring power to do so. You can use an unloaded magazine to test this. The follower extension located at the top left corner of the follower is what activates the slide stop when the last round is fired. If the follower breaks or is damaged, the slide will not lock back. In one instance I saw a follower extension break off and fall into the magazine, causing a failure to feed. 6. Debris and moisture Drop your magazines in sand, dirt, gravel and water and you are certain to have junk in the mag body. Shake empty mags to listen and feel for uninvited guests. What you will not hear is the rusty spring. Not all springs are stainless steel, and moisture can corrode the spring surface and cause it to drag on the body or weaken. Lint is another silent problem. Pocket carry of your extra magazine can lead to an invasion of dust bunnies. A magazine pouch will greatly reduce this issue, but regular inspection is still in order. 7. Lubrication My preference is to run my magazines in a dry condition. Lube attracts debris and can gum up the interior surfaces. I use a solvent to clean the spring and magazine, inside and out, then wipe them dry. For polymer mags, I clean the exteriors with Armor All for a friction-free reload. A small amount goes a long way here. These seven tips will ensure your autoloading pistol is fully serviceable and ready to meet the needs of daily carry and home protection. 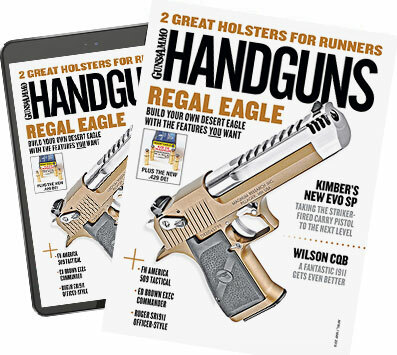 Spend a few dollars so you have at least three new magazines for your pistol that are dedicated to defensive use and several more for the range. As your mags age, buy a few more. It's a small price to pay for something your life could depend on.